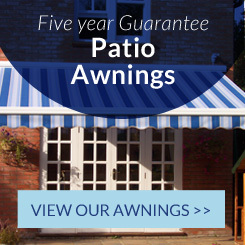 Main Website Blog Home › Looking after your Outdoor Furniture, Games equipment, and more! As winter is here you may be suffering from the same problem as many; storage and space. Winter is always a time of concern for our outdoor furniture, bicycles, sandpits and outdoor games equipment; and it is very important to make sure they are being stored properly in order to prolong its longevity. The worst thing to find in the early days of summer is that your outdoors ping pong table has been damaged and rusted, or that the cushions on your outdoor furniture have mould all over them, or that your outdoor patio furniture has cracks and damage to it. All things you can help prevent from happening by following these simple tips and advise on how to easily store your furniture this winter. ‘Outdoor Garden furniture’ can include a broad range of types of furniture, from wood to wicker to metal to plastic, however a tip which is relevant to the latter is to firstly keep it clean, start by using a dry cloth to rub off dirt, pollen and spider webs, by cleaning your furniture before and after putting it away for winter you are prolonging its life. 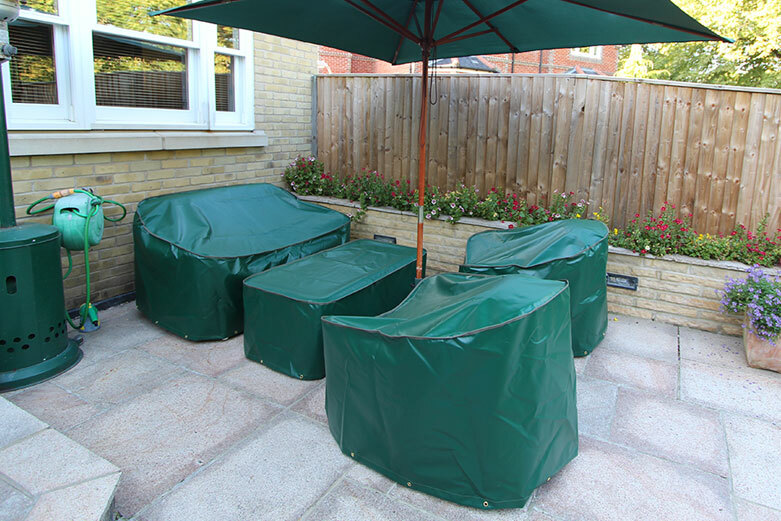 The ideal place to store outdoor furniture (as like with many outdoor things) would be somewhere dry and covered, however we know it is not always practical to move furniture inside, and you may not have space. But there is an alternate way of keeping your furniture clean, dry and protected from dirt, bird droppings, harsh rain, strong winds, snow, and the suns damaging UV rays. By investing in a high quality waterproof cover you can easily keep your furniture protected without the risk of damage when moving it, and it allows you to protect your furniture all year round. 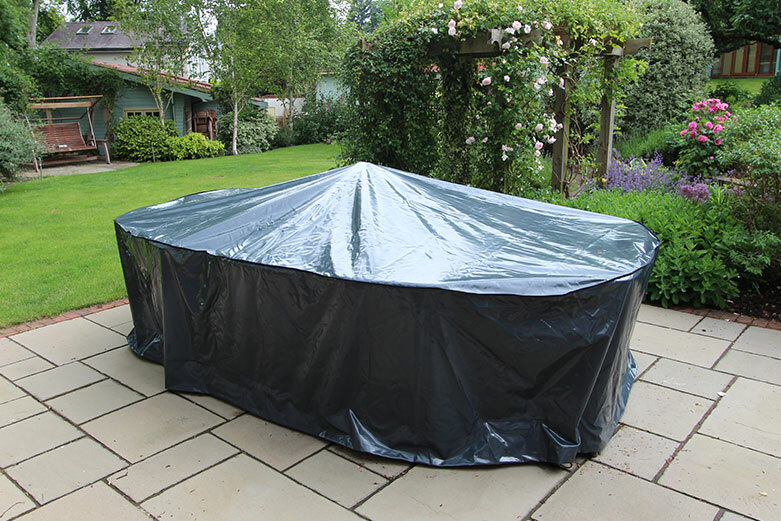 However it is important to use a high quality, waterproof, strong cover which has UV stability and fits your furniture well. Check out our guide to ‘Choosing the Best Covers for your Furniture’ for more advice. Kover-it’s PVC-ST Covers (above image) are ideal for protecting against harsh rain, snow, strong winds, dirt, grime, bird droppings and the Suns UV rays. 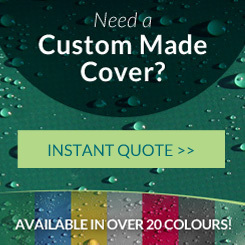 In fact their covers are being used in places all over the world, such as in Barcelona, Switzerland, Iceland, Jersey and Marbella; all the while withstanding a diverse range of weathers and temperatures, whilst ensuring excellent protection. Kover-its PVC-ST covers also come with a 5 years guarantee, although they are known to last 10/15 years plus. A tip when covering outdoor furniture for a long period of time is to just check on it every few weeks or so, just to allow a little air flow to it and to make sure everything looks ok. For patio Sets it’s a good idea to put something in the middle of the table when putting the cover on, this keeps the middle elevated to prevent water from pooling. It is important cushions are not stored outside in the Winter months especially, even if you are covering your furniture with a waterproof cover. This is because of the ambient moisture in the atmosphere which can be pulled into the cushion and could cause mildew. It is also important for the cushion infill’s to breathe … The ideal place to store cushions from your outdoor furniture is in a dry and clean place such as a basement, attic, basement or garage. It is also important to clean your outdoor cushions, to do this read the manufacturers recommendations for cleaning, use a clean dry cloth to firstly brush off pollen and dirt. However, what do you do if you don’t have the space to store them? 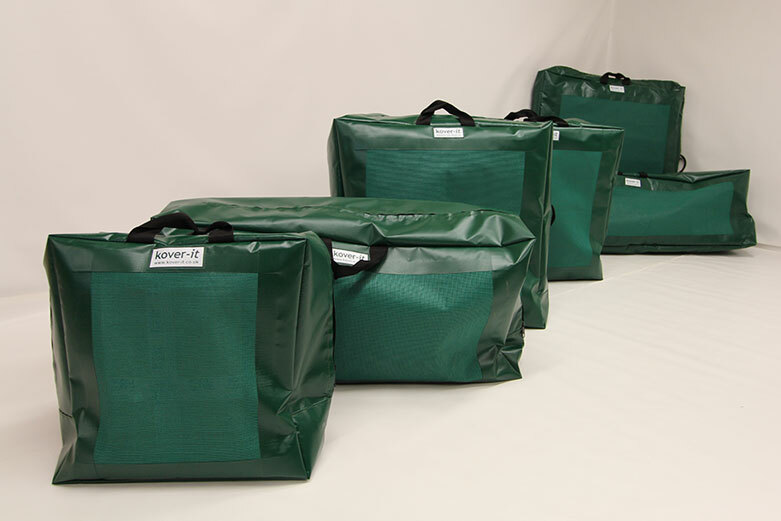 Kover-it’s Cushion storage bag is a perfect solution for keeping your cushions clean, dry and can be hung on a wall so is excellent for storage, also adding extra protection to keep with clean and long-lasting. They also allow for air flow to allow your cushions to breathe, whilst also being waterproof on one side. 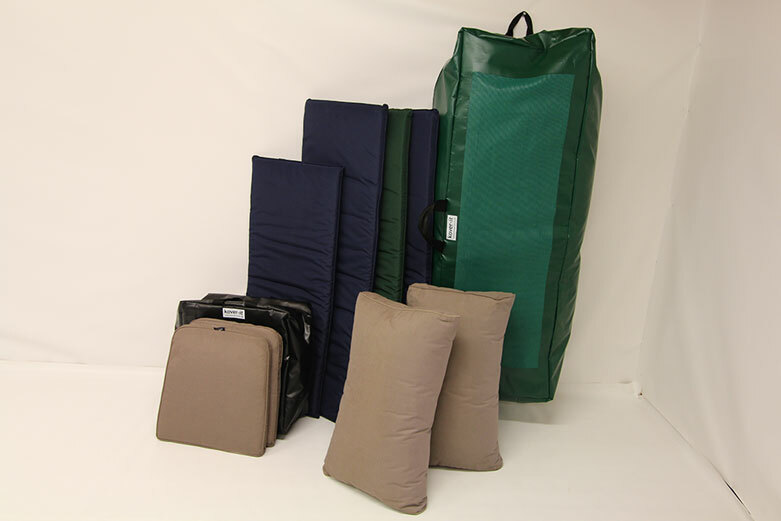 They come in many different sizes, so can be packed full of cushions, and if you want a Cushion storage Bag made to a specific size or shape you can do so by ordering through our Bespoke made service. Like with outdoor furniture the ideal place to store many outdoor games equipment would be inside where it is dry, clean and covered. However some equipment can be quite large and therefore difficult to find storage for. It is important to protect your games equipment as many have mechanical features, which without proper care can rust, damage and therefore leave it unplayable. 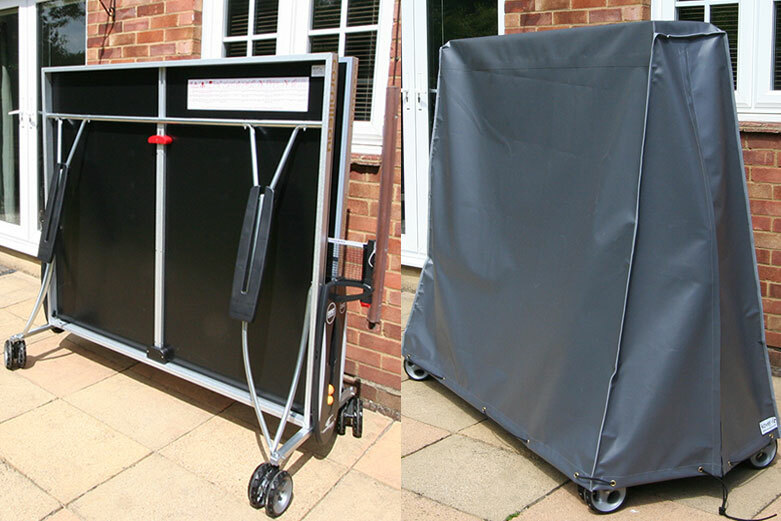 For some games equipment it is important to make sure it can be stored outside, and if you are planning on putting games equipment outside you can purchase special equipment designed to be stored outside, although still needs to be protected especially in the Winter months. Below is a large pool table which is kept outside, although it is underneath a small structure it is still left exposed. 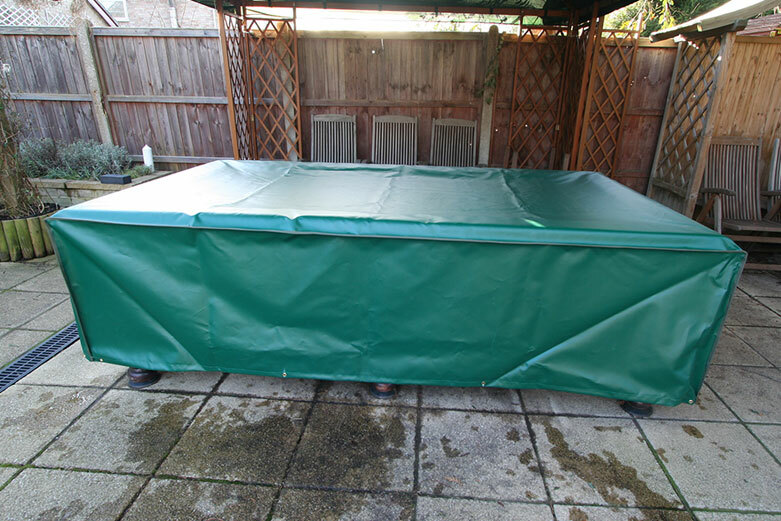 So to keep it protected as you can see the customer used a Strong, Waterproof PVC-ST Cover manufactured by Kover-it. Like with all of Kover-it’s high quality covers it offers protection from the rain, snow, strong winds, dirt, bird droppings, and the suns UV rays. Keeping it covered also prevents any vermin from getting into the pool table. 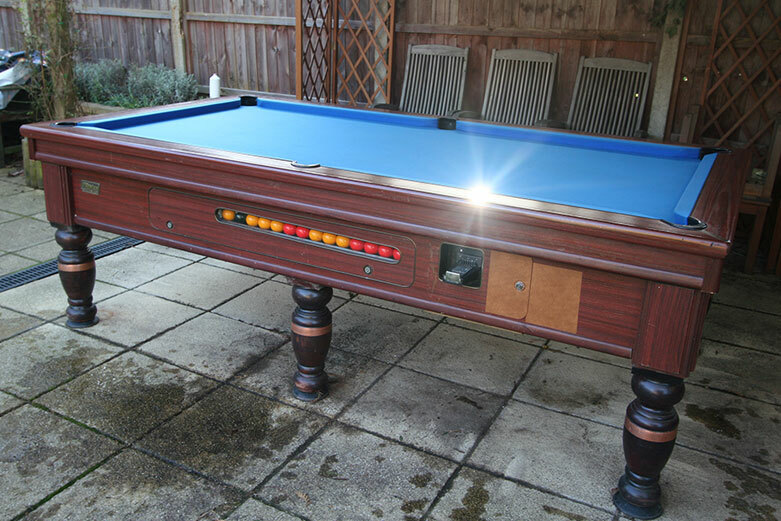 The Pool table cover also has eyelets around the bottom to allow a shock cord to be pulled through to tightly secure the cover in the more stormy weather. It is well fitted, and leaves a small gap at the bottom to prevent the cover from dragging. However it is still advised because of the mechanical components inside of this particular pool table that it is put somewhere dry and inside such as a shed in the extreme snowy and cold weather. Below is another example of how easy it is to protect your outdoor games equipment. This Table tennis Cover keeps it protected therefore prolonging its life. Although the table is made up of predominantly plastic, it is still important to protect it from the cold, rain, snow and dirt, hence to prevent it from cracking, bowing or becoming rusty. Although the Ideal way of keeping your sandpit pristine ready for Summer would be by completely emptying it and cleaning it, we know this is not always practical for some. Therefore it is important to make sure you cover it completely, to protect from animals, insects, rain, snow and debris from spoiling your child’s play place. 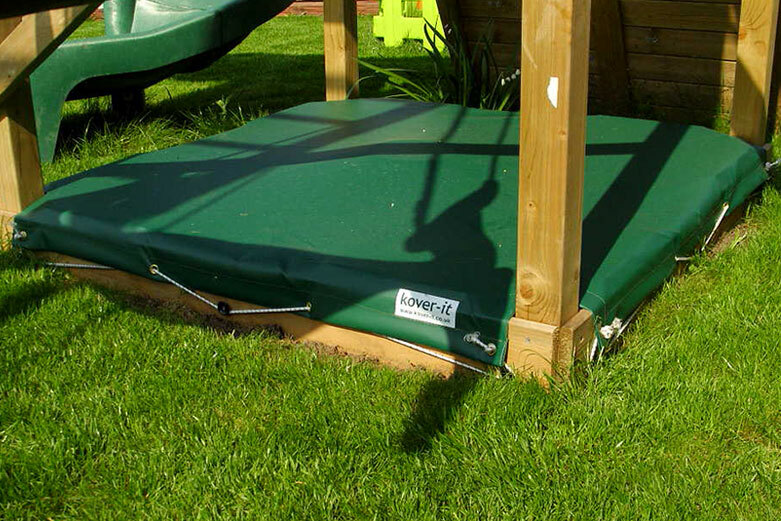 The PVC-ST Sandpit Cover below was bespoke made by Kover-it, as you can see the elasticated shock cord keeps the cover secure, whilst is also easy to put on and off. So as you can see for most outdoor furniture and equipment the best option would be to store them inside where it is dry and covered, although doesn’t this destroy the whole functionality of it? and for most people they just don’t have the space inside. For some furniture storing it inside for a few months in the winter period will protect it, However if you want to protect your furniture 12 months of the year, as well as in the Winter months, investing in a long lasting waterproof , strong, durable cover will offer excellent protection, hence lengthening the life of your goods.